Jaded Blossom: Welcome Little one! Hello my crafty friends. 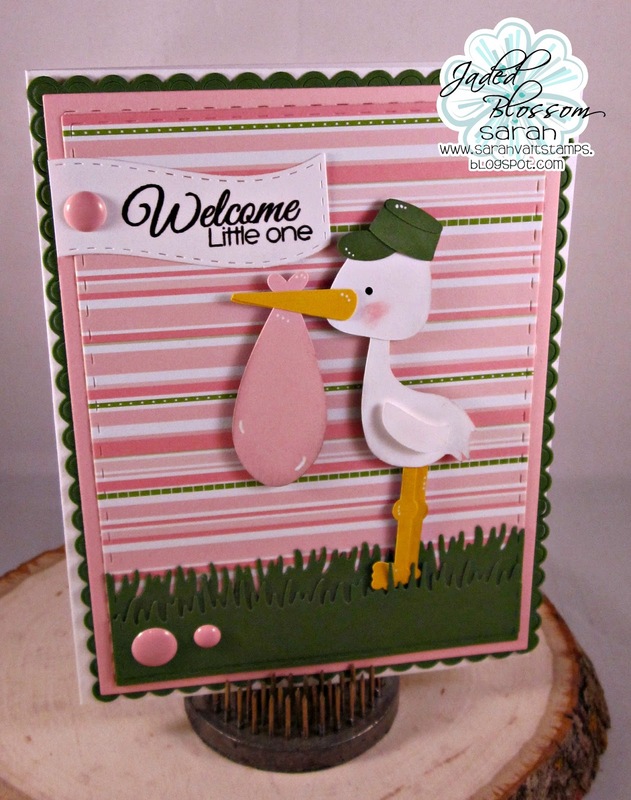 Sarah with you all today sharing this fun card! Adorable! 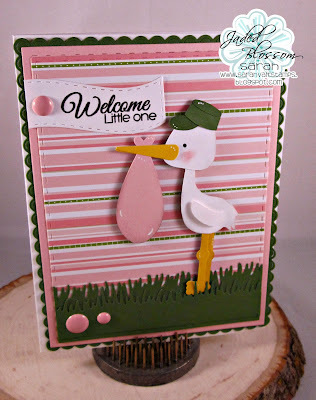 Love the hat on the stork!